Hiya, friend! Today I am sharing the my last process video using the July Revival Camp devotional kit. I had SO much fun working through the first installment of Revival Camp and can’t wait to see what’s next for us campers! 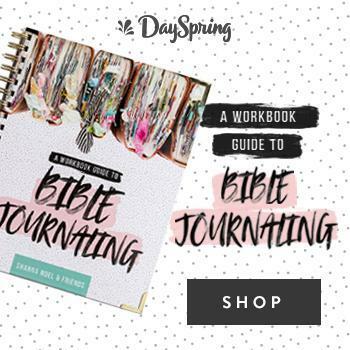 Luckily, just a few days before sitting down to create this entry, Abigail Clone released her first Print & Pray Shop digital set, the Our Protector Devotional Kit, and the colors matched perfectly. Then, in my session one process video I thought about using a new Kaisercraft stencil, but ran out of room on the page. I remembered I wanted to incorporate it (a note may have reminded me 😉 and pulled out some texture paste and a palette knife. I wanted to turn my texture paste black, so I used (maybe too much) black acrylic paint to get the look I was going for. I let the texture paste dry/harden and then used those areas as anchors to build my three clusters. The dream catcher Abigail included is my favorite element and I wanted to feature it on my page. I used the layered badge stamps again to note which session I was working on and added a cork arrow to each embellishment cluster. How CUTE are these badges?!?!? After my journaling I finished off the entry with a date stamp. 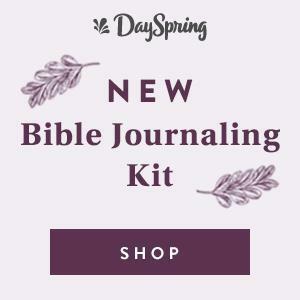 And don’t forget- you don’t need the devotional kit to access the devotional content. Click here to read each contributor’s devotional as they’re released. I hope you’ll check out my process video– I had a lot of fun making it! Now I’m off to brainstorm how I can use the fabric badges…feel free to share your ideas in the comments below!